The RSF-backed Prema driver, who had little option other than to settle for fourth in yesterday's race two, lost out in the opening lap Turn 1 mayhem for the third race in a row. Yesterday the ill-feted driver was punted out of contention in race one after which he then lost out in the battle for third at the start of race two - both as a result of the routine Nurburgring stampede into Turn 1. The chaos - triggered this time by Mikkel Jensen - once again established the podium finishers. The Mucke driver, who started fifth, made a rapid start to catch up with front row-starter Lance Stroll and the second row pairing of Antonio Giovinazzi and Dennis as they raced three-abreast towards the corner. But the Dane's ambitious attempt to steal the inside line from Stroll ended in contact with both the Prema driver and Giovinazzi, ending his own race more or less on the spot and consigning Giovinazzi to the back of the field and a visit to the pits. With Prema's stand-in Nick Cassidy taking full advantage of the melee to climb from seventh to third, Dennis was relegated to fourth for the second race in a row which - with only eight laps of actual racing in between four safety car periods - is where he remained for the rest of the race. Prema's pole-sitter Felix Rosenqvist - who had already bolted when the chaos behind kicked off - made light of all four restarts to lead every lap of the race and claim his 12th win of the season and with it the Formula 3 European Championship title. It was the Swede's third win of the weekend and fifth on the trot. 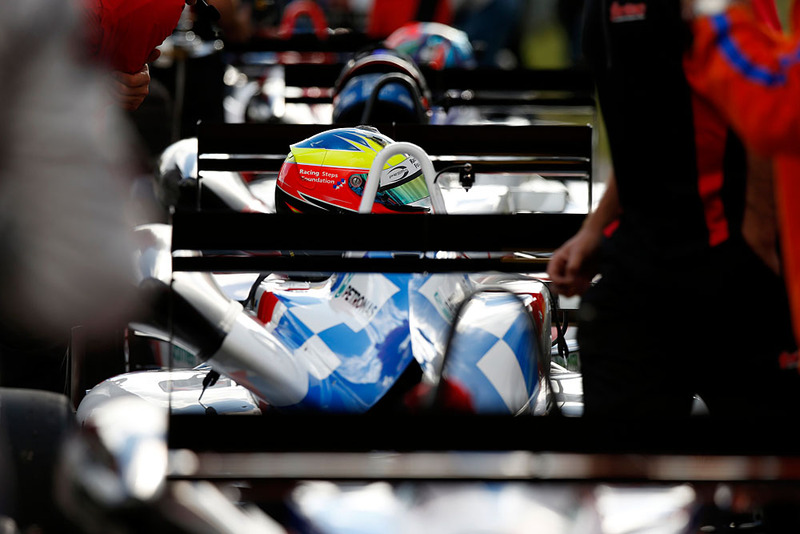 Stroll, Cassidy and Dennis followed on to secure four out of the top five places for Prema. Fifth was collected by Van Amersfoort's Charles Leclerc who, along with Giovinazzi and Dennis, is fighting for second place in the championship. With three races to go and 75 points up for grabs Giovinazzi - who finished out of the points in 13th place - currently holds the runner-up position with 362.5 points on the board. Leclerc (356.5) is third and Dennis (333) fourth.